Last week we spent a lot of time talking about Apple and haven’t taken the time to explore tablet reviews for the Nokia Lumia 2520 and Windows Surface 2. Both of these tablets were also premiered last week on Tuesday, October 22. While Apple clearly won the majority of hype from tech bloggers, the Lumia 2520 and Surface 2 are both worthy of a tablet review. With no Lumia 2520 or Surface 2 readily available for my eager paws to play with, it’s time to turn to the experts. And anyway, the internet is rife with tablet reviews for both the Nokia Lumia 2520 and the Microsoft Surface 2. Let’s check out the key points from a few expert tablet reviews instead! Without further ado, here are what the experts are saying about the Nokia Lumia 2520 and the Microsoft Surface 2. Nokia released their first tablet last week: the Nokia Lumia 2520 which will be released later this year for $499. While the tablet didn’t garner Apple iPad Air levels of excitement, the experts seem to agree that there’s a lot to like about the Lumia 2520. The display is clearly one of the top assets of the Nokia Lumia 2520. Most expert hands-on tablet reviews make mention of the brightness and rich colors. Like the Windows Surface, the Nokia Lumia 2520 can be used with a keyboard case. According to most experts, the keyboard case is an awesome feature. Where Nokia falls desperately short is with their offering of apps, a complaint echoed by most of the Nokia Lumia 2520 tablet reviews I read. To be fair though, this is more the fault of the Windows operating system as opposed to Nokia’s Lumia 2520 hardware. Microsoft looked to do with their second tablet what they couldn’t with their first: impress people. 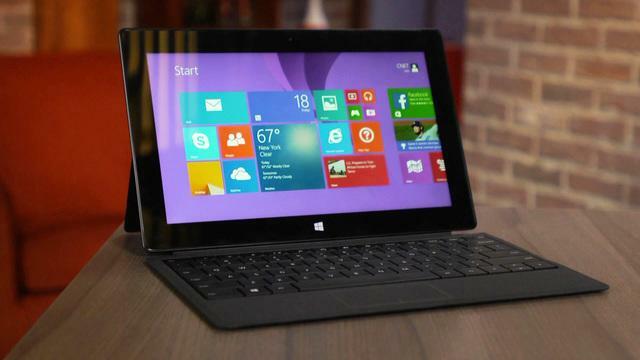 Did the Microsoft Surface 2 receive more positive tablet reviews this time around? Let’s see what the experts had to say! Two of the most praised features in the Microsoft Surface 2 tablet reviews were the tablet’s keyboard options and the kickstand, which was upgrading with an extra viewing angle. While it’s impossible to draw a solid conclusion about either device without actually playing around with them, the experts paint a good picture of what to expect. Microsoft did a good job upgrading things like the Surface’s display, kickstand and keyboard. According to the experts though, the Microsoft Surface 2 falls short in most other aspects and little has changed from the first Microsoft Surface. Nokia, however, put forth a strong effort for their first tablet. The Nokia Lumia 2520 display, rich colors, keyboard and durable design show that Nokia is headed in the right direction. Where Nokia, Microsoft and Windows all need to improve is in their offering of apps and the consistency of the operating system across devices. Many experts complained about finding updates and/or apps that weren’t operational on their particular device. This is a problem specific to Windows and one that will need to be figured out soon. If not, the Windows operating system will have a very hard time gaining more ground against Apple’s always consistent operating system. Have you had hands-on time with either tablet? Which features were you most impressed/unimpressed by? Give us your tablet review in the comments below!